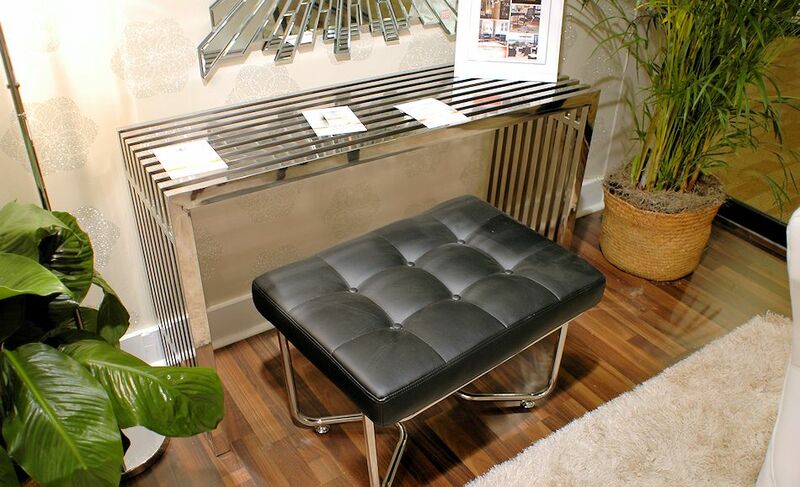 The console table in polished stainless steel offers luxury and afford ability. For Indoor or Outdoor use. The Gridiron desk in polished stainless steel w/ tempered glass top is perfect for home or office work spaces. 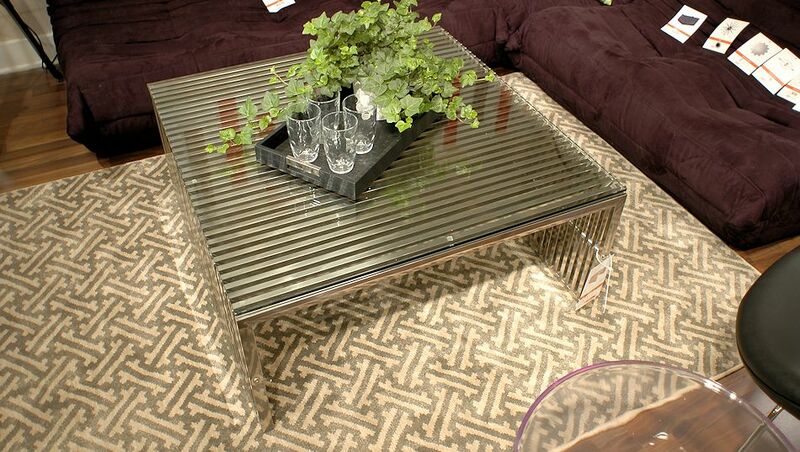 The coffee table in polished stainless steel with tempered glass top. For Indoor or Outdoor use.